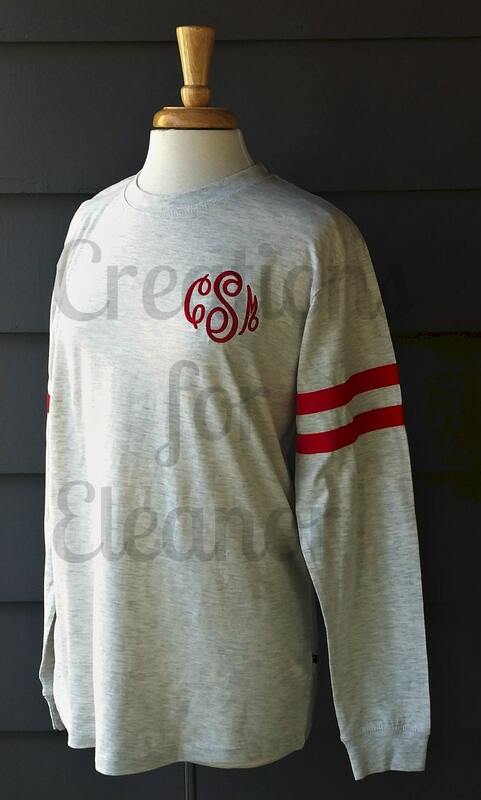 This vintage heather tshirt is given a fun update with varsity style sleeve trim. 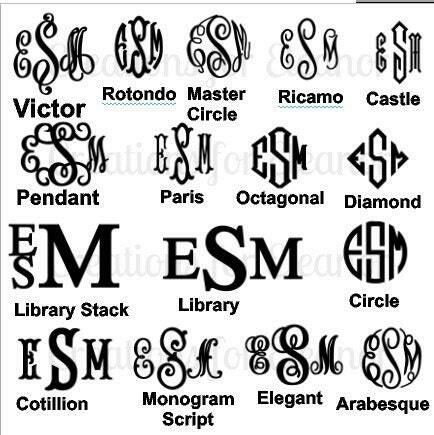 Monogram is done to match the sleeve stripes and can be either one letter or 3. 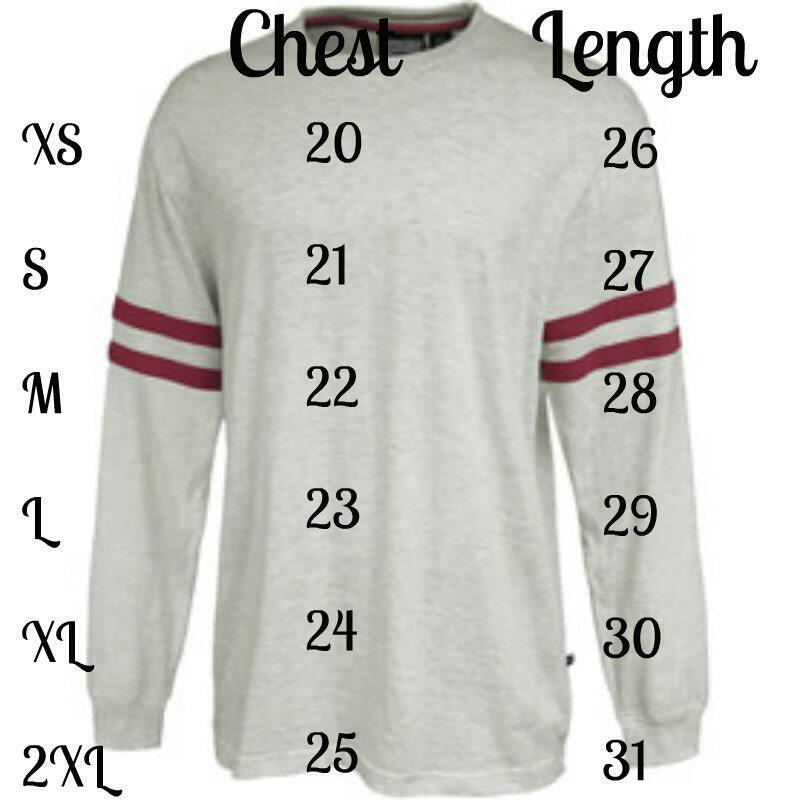 Shirt has a ribbed neck and cuffs, is made from 100% cotton and has a unisex fit - please refer to size chart. All shirts are custom embroidered in a pet free, smoke free home. They are custom made for you and will take3-4 weeks, please convo me if you feel you will need this shirt quicker. Due to the custom nature of this item it cannot be returned. 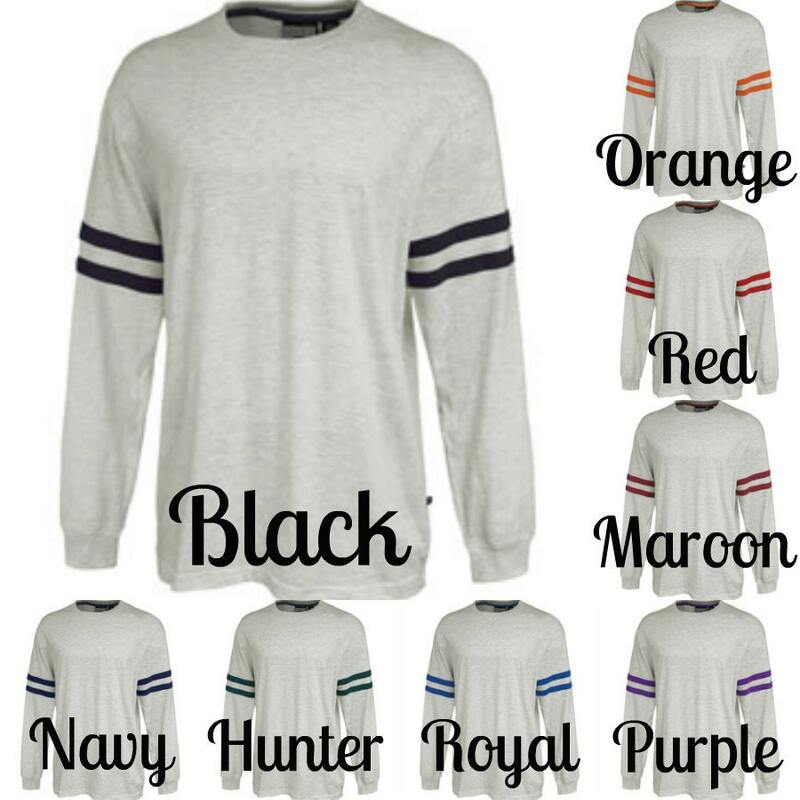 Shirt is listed in options with body color/sleeve color. Font will match sleeves if no other color is indicated. Match your favorite team! 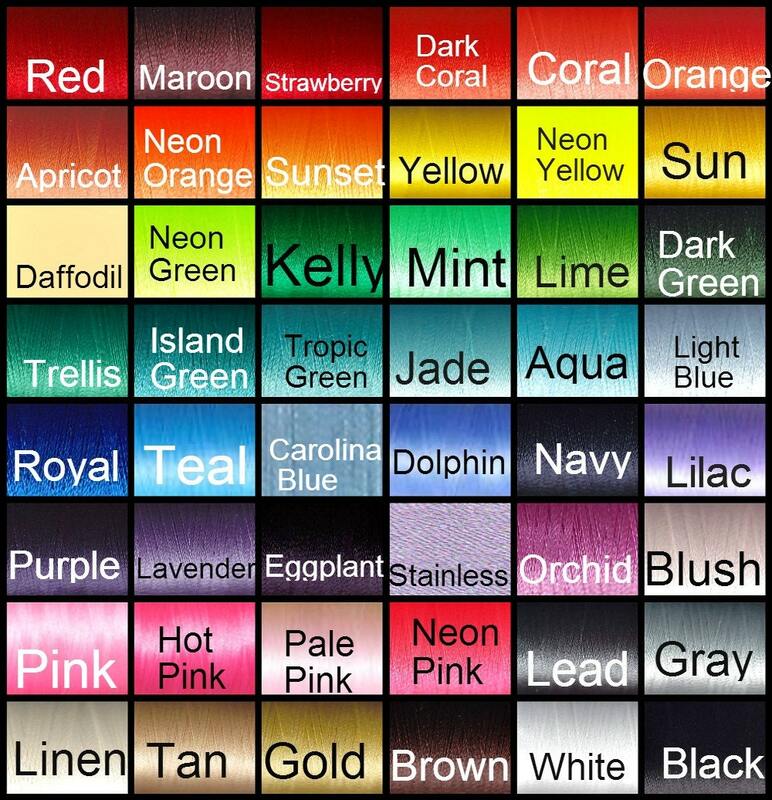 Please make sure you indicate your font choice and also font color, if nothing is listed I will do it as shown in a color that matches the shirt.